The deaths have all come in the last four days, with most of the fatalities thought to be drug addicts seeking a fix. AT LEAST 24 PEOPLE people – mostly drug addicts seeking a fix – have died after drinking toxic cough syrup in an eastern Pakistani city. The deaths in the in the industrial city of Gujranwala, some 70 kilometres north of Lahore, started occurring on Wednesday - with most of the victims drug addicts who took the syrup for intoxication, police and doctors said. “At least 24 people have died after taking an unknown cough syrup,” local health department official doctor Mah Jabeen told AFP. “Seventeen people died at hospital, while seven others were brought dead,” she said, adding that only five affected by syrup were now under treatment at hospital. Local hospital chief doctor Anwar Aman said some 54 patients were earlier brought to hospital who said their condition deteriorated after taking cough syrups. The victims were between 20 and 40 years old and a majority had a history of drug addiction, Aman said, adding that so far the culprit syrup has not been identified. 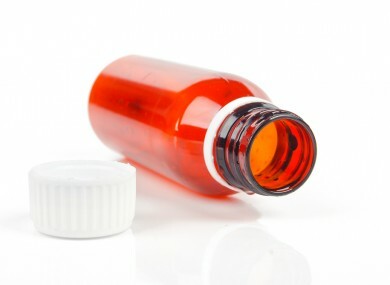 Senior police official Azam Mehr confirmed the toll and said samples of cough syrups available at local pharmacies have been collected and sent to laboratories. “Police and health department have started inquiries and investigations into the deaths,” he added. Last month at least 19 people were killed in Lahore after drinking toxic cough syrup. In January around 100 heart patients died in Lahore, Pakistan’s second largest city, after taking locally-made tainted medicine. Email “Toxic cough syrup kills 24 people in Pakistan”. Feedback on “Toxic cough syrup kills 24 people in Pakistan”.